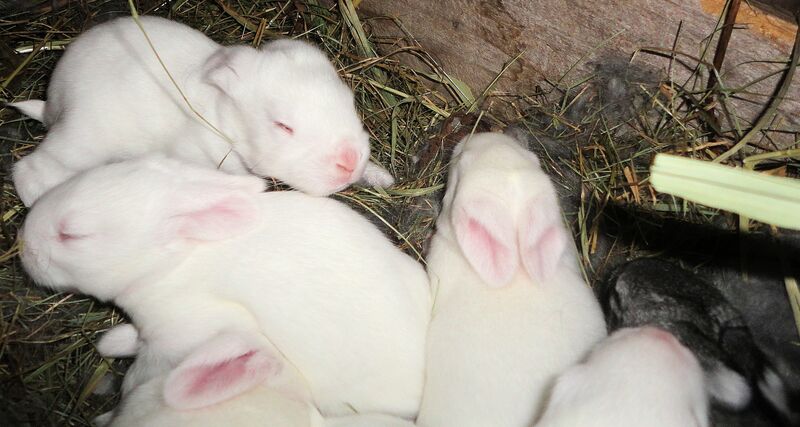 The baby chickens and rabbits were one week old yesterday when these photos were taken. The chicks are growing wing and tail feathers and the bunnies (fawns) are just beginning to open their eyes. 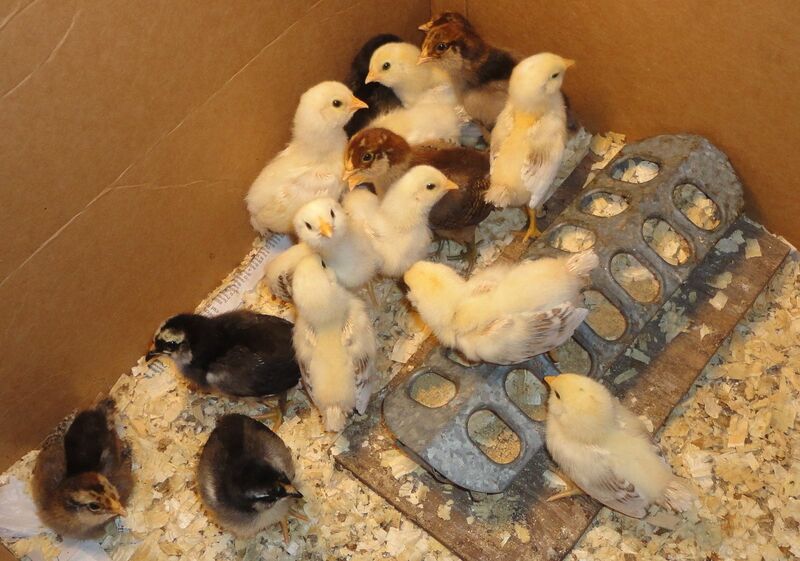 One chick didn’t survive, so there are sixteen baby Ameraucanas. The fawns are angora/Rex crosses. 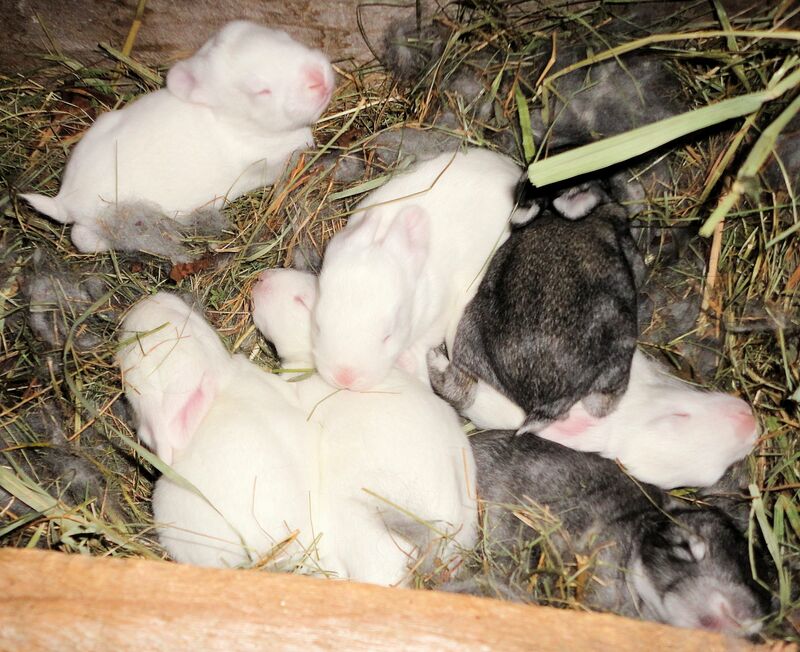 There are seven of them, five white albino and two that look brown or silver agouti. Both sets of babies have grown about half-again the size they were at birth. They fit neatly in the hand. The dark bunnies remind me of chinchillas. So cute. Soon they will be able to see mom and jump out of the nest box after her. Then she will have little peace as they will want to nurse all the time. 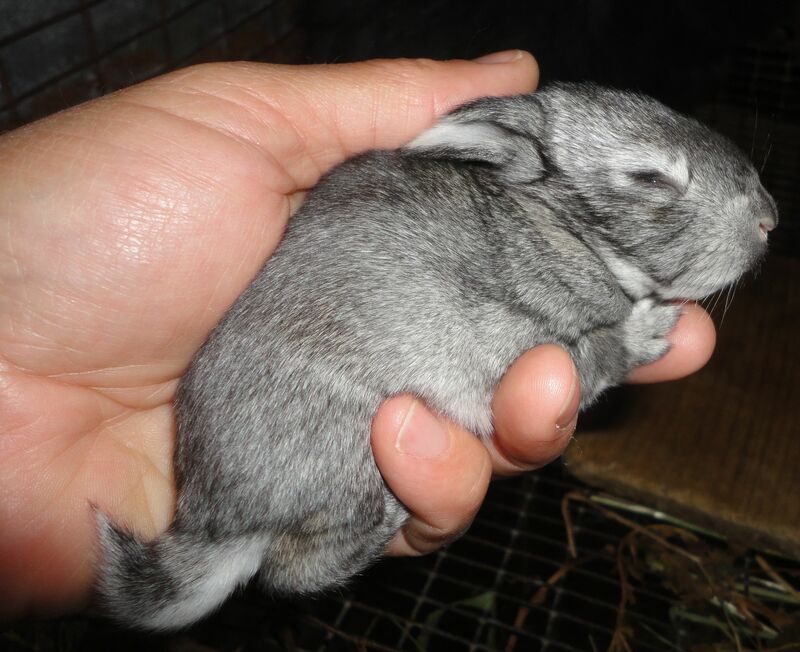 Most mother rabbits are very firm about when fawns are allowed to nurse, but the little ones are persistent. In the photo at left, the glimmer of the white baby’s eye is just visible. Today the chicks were moved from the house to the barn and given a large exercise pen. They are excited to have so much freedom and are testing their new wing feathers. Before long they will run around the barnyard.